The month of May is home to Nurse’s week. Across the country hospital administration will thank their soldiers on the ground with pancake breakfasts & inspirational quotes. Nurse’s don’t need a quote to tell them what a beautifully hard job this is. This year will mark my five year anniversary of becoming a nurse. Even typing it out, I feel the need to quickly double check the math. It doesn’t seem all that long ago I was dawning bright white scrubs & learning how to take vital signs. In some ways that shy, timid nursing student seems like a person I was in another lifetime. 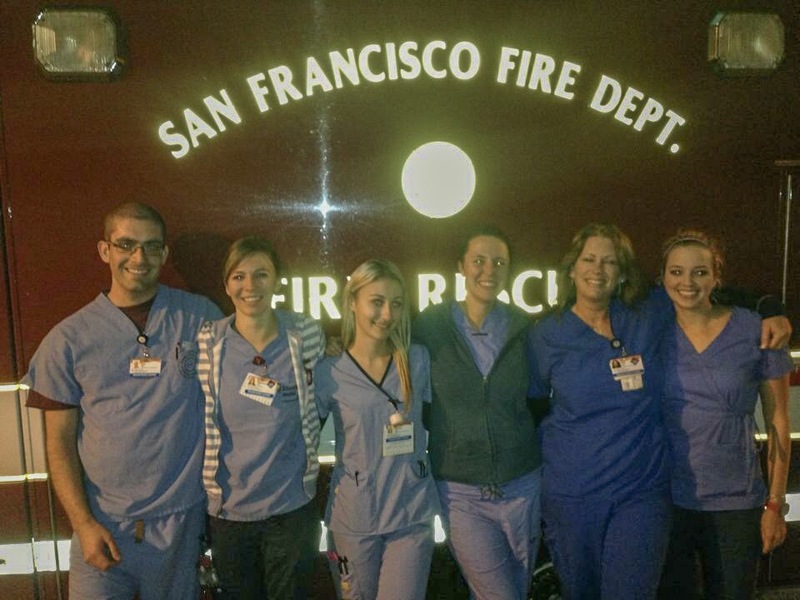 I’ve spent the last five years working in an Emergency Department in San Francisco. In that time I’ve started countless IV’s, wrapped broken bones, compressed lifeless chests to see life return & seen patients in their final moments. Nurse’s week for me isn’t about the free breakfasts, or new company water bottles. It’s about remembering the amazing mentors I have had a long the way & the nurses I continue to strive emulate even today. A wise nurse once told me that ER nurses are notorious for carrying “emotional backpacks”. Events happen so quickly in an ER that you often don’t get the opportunity to process things fully until much later. So as sad, painful, ugly things happen we put all these heavy feelings in a back pack that we carry around with us. And as you clock out & get home you have to find a way to empty these things out in order to go back to work again in 12 hours. Some things you can let go of as you swipe your badge and walk away, others require a long run, a good cry or a stiff drink! If you don’t figure out a way to empty your backpack frequently it’ll eventually weigh you down. Nurses week is about remember that we all carry our own backpacks & recognizing that we can help one another when it gets too heavy. 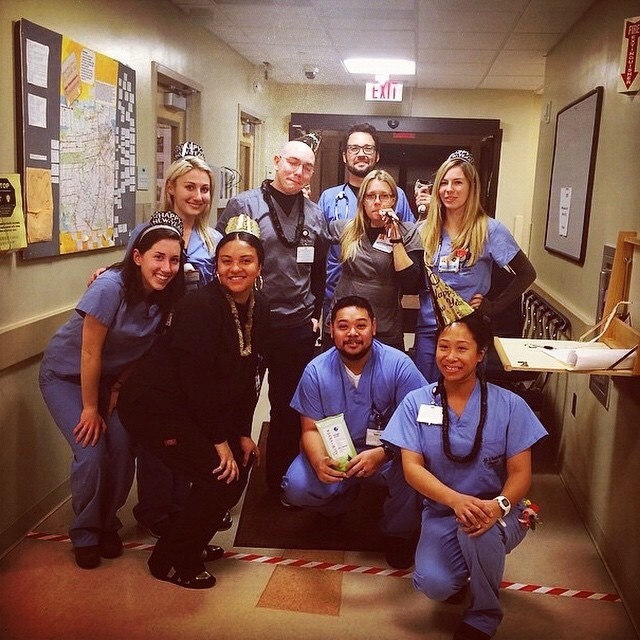 I’m ever thankful for my coworkers who not only make me laugh but are side by side with me as we are faced with the unknown of the emergency department each day. This job at times is painful & hard & other times is exceptionally wonderful & in that contrast there is beauty. The friendships I have made inside those windowless walls are some the strongest & I can say with certainty it’s what keeps me coming back. Only your fellow nurses will understand what it’s like to give yourself fully for 12 hours a day, over & over; not just Monday through Friday, but weekends & Christmas. My fellow nurses are some of the funniest, smartest, most thoughtful people I’ve ever met & I couldn’t be prouder to be a part of the club! 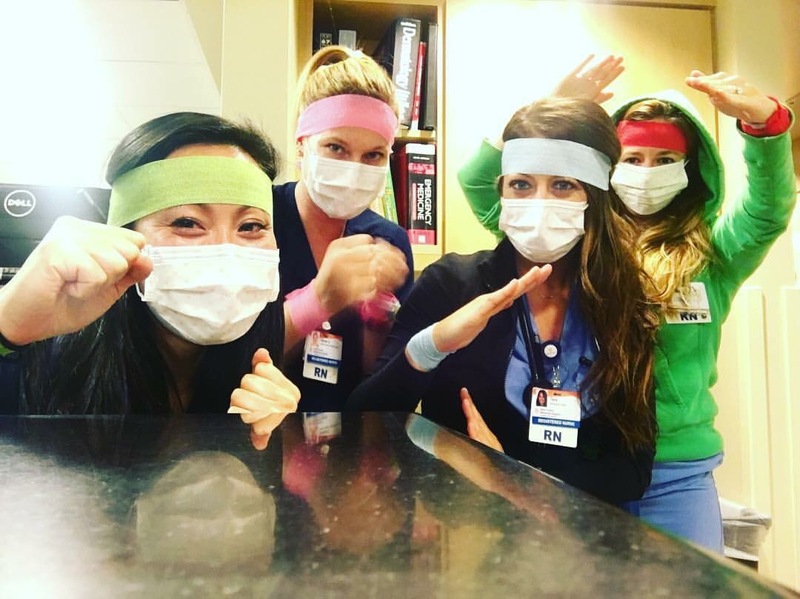 This year I happened to be on vacation during the actual nurses week (which btw not an entirely bad way to celebrate), but I wanted to post something to recognize this wonderful calling that only strongest are drawn to & wish every nurse out there a happy nurses week & remind them they’re incredible! 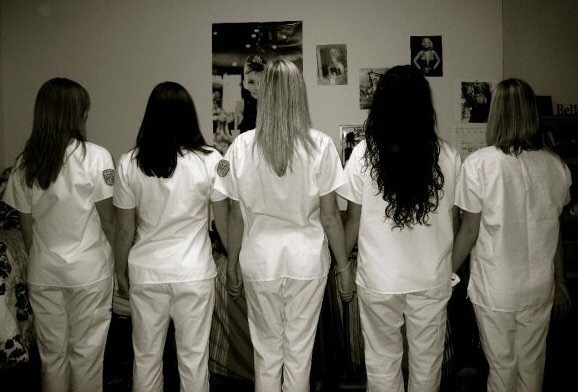 ^^ #TBT to nursing school, when finally getting to wear scrubs, even if they were white was cool!